You can volunteer with us, join a tour or support important conservation and education programs. Our park benefit enormously from the generous support and participation of the community. Getting involved is a great way to connect with our environment. You can get involved by taking part in a volunteering activity such as tour-guiding or joining a bush regeneration group. Embrace your sense of adventure and join a tour, event, or guided walk, or make a donation to support conservation programs which preserve BWSP's natural and historic heritage. 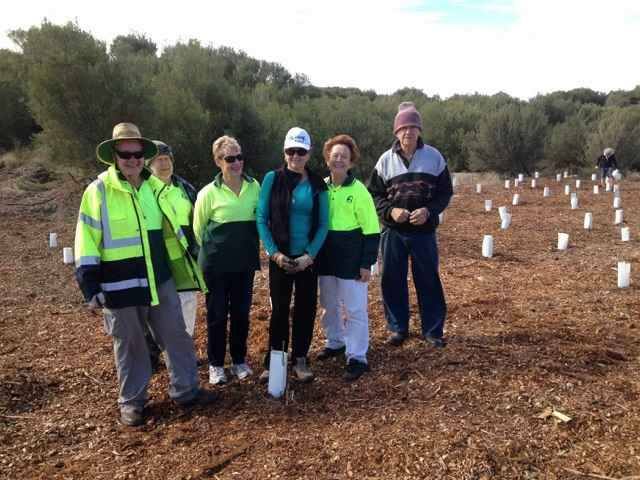 Join us for volunteering opportunities in Belmont Wetlands State Park to help protect Australian animals, Australian birds and Australian native plants and meet new people. Friends of Belmont Wetlands Landcare Group meets every Tuesday morning to undertake regeneration, weeding, surveys, planting out and other environmental activities. Visit the BWSP Facebook events page to see what's on. Contact our site supervisor for more information about volunteering in the park on 04229 267 234. Lake Macquarie City Council offers a free electronic newsletters which are dedicated entirely to the Lake Macquarie environment. Through them residents can find out about events, competitions, giveaways, workshops, rebates and much more. Eco Advocate is published quarterly, with advice and articles about our local environment and sustainable living. See an example issue. Eco Advocate – What’s On is published fortnightly and is dedicated entirely to the latest environmental events and opportunities in Lake Macquarie.